Bauhaus Wooden Chess Set designed by Josef Hartwig in 1924. Presented in wooden box with Bauhaus logo. Looking for an exceptionally well-crafted and historically significant chess set? The Josef Hartwig designed Bauhaus Chess Set is one of the most perfect chess sets ever created. 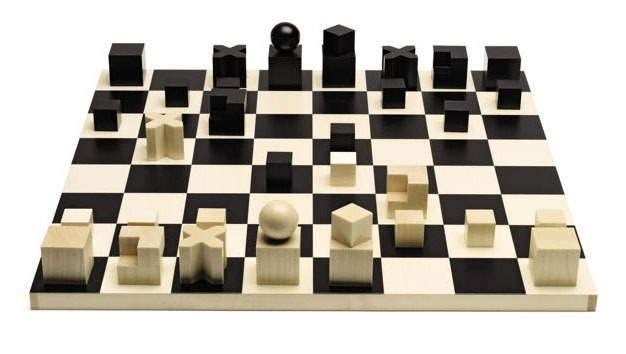 The Bauhaus Chess Set is one of the most historically significant objects from the Bauhaus. The beautiful chess pieces have clean modernist shapes in the typical constrained minimalist manner of the Bauhaus. The shape of each character corresponds to its movement: The queen, which can travel anywhere, is a sphere. The King, which moves on the axes, is a cube. Cubes, cylinders and balls lead you move by move to checkmate. The Bauhaus Chess Set is made with hardwood maple, each piece is cut to carry a specific grain pattern to ensure that the wood does not warp or chip, creating a durable heirloom quality chess set. This beautiful chess set makes a great gift for young and old. Ages 14 years and up. 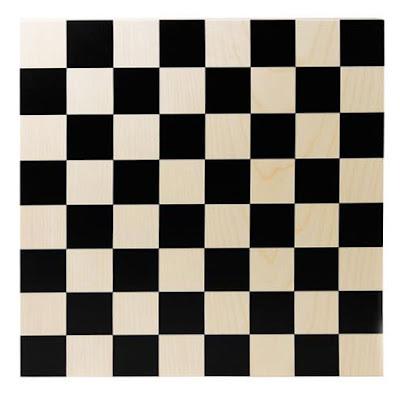 Bauhaus Chess Set, the classic came of chess, in a pure modernist layout. 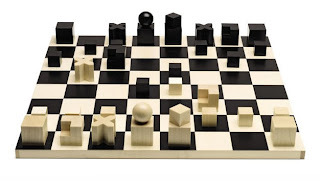 The beautiful Bauhaus Chess Set was designed by Bauhaus sculptor Josef Hartwig in 1924. Bauhaus was the most influential school of avante-garde design, art and architecture of the 20th century. The Bauhaus was a vibrant creative force and produced some of the most renown modern architects of the 20th century including Walter Gropius (Bauhaus founder), Hannes Meyer and Ludwig Mies van der Rohe. Naef is the authorized manufacturer and produces this Bauhaus Chess Set according to the original design. The Josef Hartwig Bauhaus Chess Set is part of the permanent collection of the Museum of Modern Art.